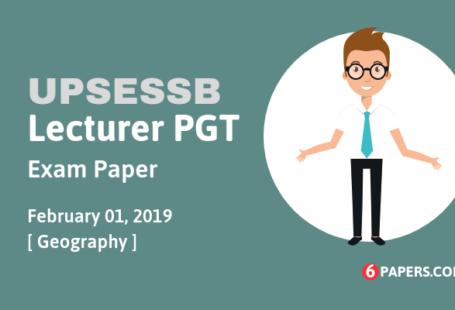 UPSESSB lecturer PGT Biology Exam paper 01-02-2019 (Answer Key) : UPSESSB UP lecturer PGT Biology (English language) Exam paper held on February 01, 2019 with answer key available here. 4. What is common between earthworm, leech and centipedes? 5. Which one is not a larval stage of star fish? 8. Which of the following immunoglobulin molecules is largest ? 10. In which, adaptation to aquatic life is secondary ? 11. Which one of the following foetal membranes functions as embryonic urinary bladder ? 16. Find the odd man out. 20. Which one is called a birth hormone ?